Work + Went to the doctor (Yeah, I'm still sick) + Went to see my high school comparsas. 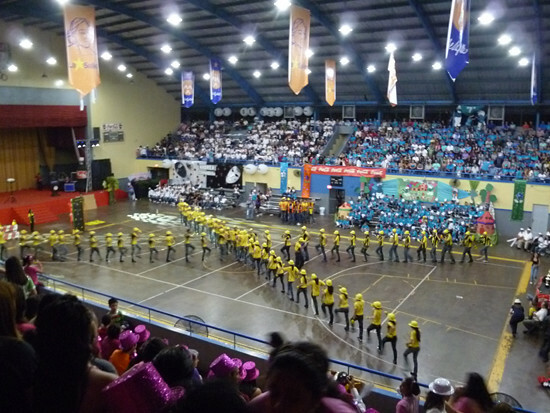 One of the things I loved the most about being in high school was an annual event that is hosted at the school called the Comparsas. This event consists of each grade getting together, creating a theme, making costumes, a storyline, and making a whole dance. Then each grade would compete with each other and there would be a winner. Each grade also has their own queen. 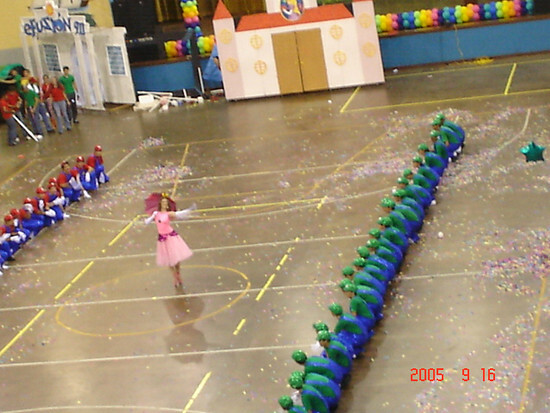 I was queen in 11th grade with a Super Mario Bros theme... I was Princess Peach and everyone else was Marios and Luigis. It turned out great and we won that year! 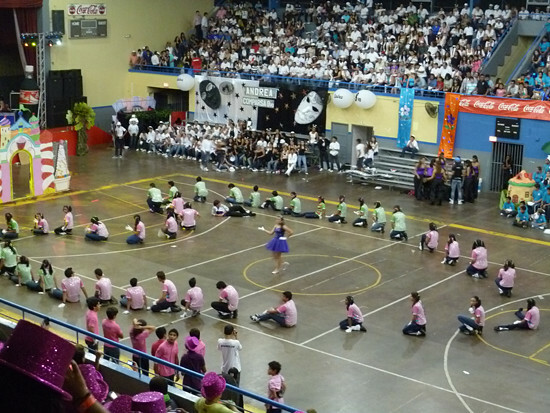 Anyway, I used to be the person that organized the entire dance, costume, etc. along with my friends... So Comparsas hold a special spot in my heart still. Even though I graduated high school years ago, I still enjoy going to see the Comparsas every year. This year in particular was extra fun because one of my best friend's sister was queen of 9th grade! 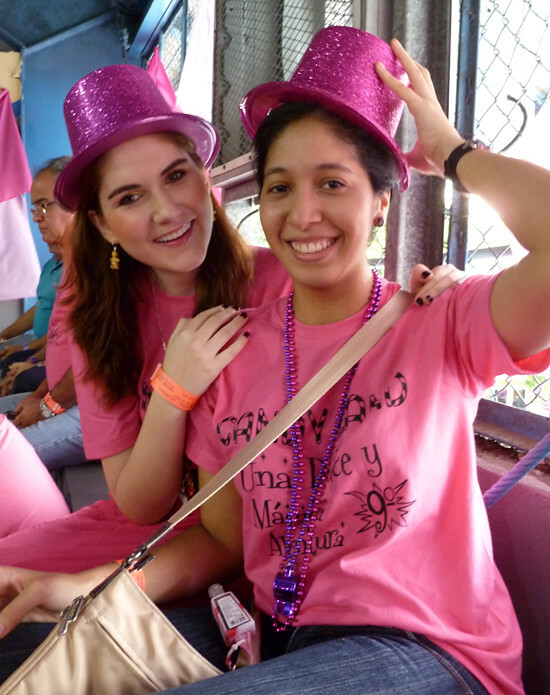 Their theme was Candyland, so we all dressed in pink and cheered her on. I had such a wonderful time seeing all the dances, costumes, and themes. I especially love when they make shapes! In the end, the grade I was cheering for didn't win (boo hoo), but we still had a blast!